Kyoto is a top destination for those seeking traditional Japanese history, art, and culture. The city served as the imperial capital from 794 until 1868 and remains a cultural hub filled with temples and teahouses, gardens and geisha. With so much to do, see, and experience in this bustling city of 1.5 million people, here are my top experiences in the city of Kyoto. These are in no particular order ... how could I possibly rank these incredible sights? This Zen temple is accurately called "Golden Pavilion," since its top two floors are completely covered in gold leaf. This shimmering example of temple architecture has burned down many times over the years and was most recently rebuilt in 1955. Its companion, Ginkaku-ji ("Silver Pavilion"), although not actually covered in silver, is also quite a sight and is located just on the other side of the city. Located about 10 minutes apart in Kyoto's Arashiyama district (about 30 minutes from the city center), the Sagano Bamboo Forest and the Iwatayama Monkey Park are both fascinating places to spend a day. 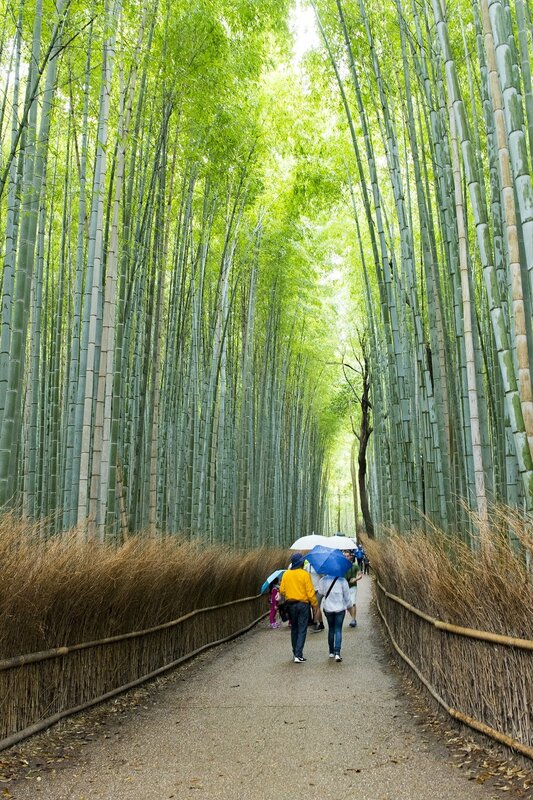 The bamboo forest, with its paths through soaring stalks of bamboo, is one of Kyoto's most photographed destinations. Avoid afternoons and weekends to bypass the biggest crowds. At nearby Iwatayama Monkey Park, visitors who take the 35- to 45-minute hike up to the park can get up close and personal with more than 170 wild Japanese macaque monkeys (also known as snow monkeys). Inside the park, you can observe the monkeys (don't touch!) and purchase food to feed them. If you're familiar with just one image of Kyoto, it is probably the red torii gates of Fushimi Inari Shrine. The earliest structures that make up the shrine complex were built in 711, and today, the shrine is considered the most important of several thousands of shrines dedicated to Inari, the Shinto god of rice. In addition to the thousands of torii gates, which are said to mark the transition from the mundane to the sacred, you'll find many fox statues at Fushimi Inari, as the fox is considered the messenger of Inari. Although geishas can be found throughout Japan, Kyoto is considered the birthplace of geisha culture, and it is still the best place to learn about and see geisha, which are actually called geiko in Kyoto. Geisha training in the traditional Japanese arts begins between the ages of 15 and 20 and lasts at least five years before the trainee is considered a full-fledged geiko; until that time, they are known as maiko. The best time to spot a geisha out and about in Kyoto is in the evening, around 5:45 p.m. as they head to work. If you want to take a photo, be respectful, don't stand in their way, and recognize that they probably do not have time to pose for a photo. Nijo Castle was originally built between 1601 and 1603 as the residence of Tokugawa Ieyasu, the first shogun of the Edo Period. Widely considered to be a monument to the power the shoguns held over the emperor during the period, it was intentionally built overlooking the nearby Imperial Palace and includes exquisite details like intricate wood carvings and decorative panels that stand in direct contrast to the stark design of the royal palace. If you are in search of all of the culinary delights that Kyoto has to offer, Nishiki Market is where you should head. This five-block-long street is home to more than 100 restaurants and shops where you can find everything from fresh seafood and produce to knives and cookware. You'll also find some of Kyoto's culinary specialties, including sweets, pickles, dried seafood and sushi in this lively market area. Founded in 778 as a temple to Kannon, the goddess of mercy, Kiyomizu-dera Temple was built entirely without the use of nails. The structure is perhaps best known for the wooden stage that juts out from its main hall, 43 feet from the hillside below. From the stage, visitors can view the numerous cherry and maple trees below, as well as the city of Kyoto in the distance. If you're planning a visit in the next couple of years, note that Kiyomizu-dera's main hall is completely covered as it undergoes renovation of its roof through March 2020. The main hall will still be accessible during renovations. The Philosopher's Path is a stone walkway that follows a canal lined by hundreds of cherry trees. It stretches just over a mile through the northern part of Kyoto's Higashiyama district. The path takes its name from Nishida Kitaro, a famous Japanese philosopher, who was said to practice meditation while walking this route on his daily commute to Kyoto University. The path is lined with restaurants and boutiques, and there are a number of smaller temples and shrines nearby. The most notable of the temples is Honen-in, with an entrance gate that is quite spectacular especially during the autumn leaf season. Kyoto is the birthplace of the traditional Japanese tea ceremony, and thus is the perfect place to experience this highly ritualized tradition firsthand. There are many places throughout Kyoto where one can experience chado or sado, as the ceremony is known, but a teahouse called En offers an authentic tea ceremony that comes highly recommended. For a more exclusive experience, arrange for a private tea ceremony in a local temple. Nestled in the Kitayama Mountains of northern Kyoto, Kurama and Kibune are rustic villages with traditional Buddhist temples and Shinto shrines. During the moderately challenging hike of 1.5 hours between the two, you will encounter Kuramadera Temple with its bright red lanterns. The hike ends at the beautiful Kifune Shrine, dedicated to the god of rain. Want more Japan travel tips? Visit my Japan destination website for details on destinations and can't-miss experiences throughout the country. 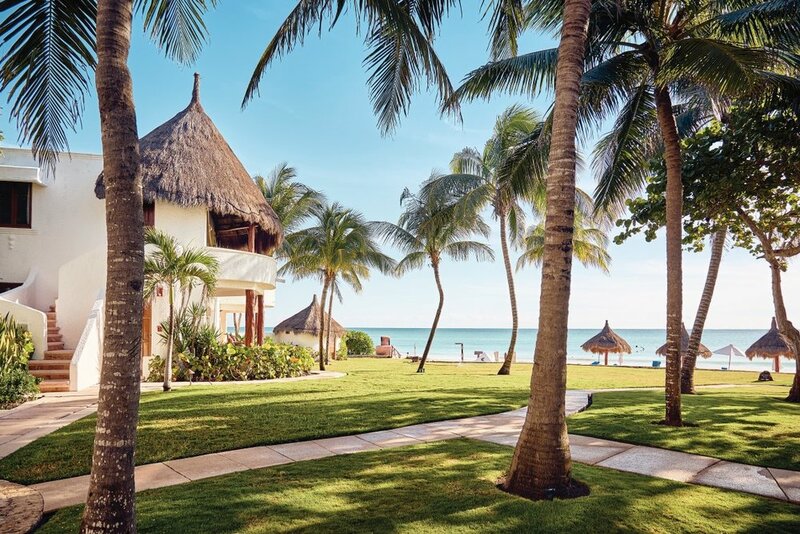 And when you're ready to start planning your trip, reach out to me at kati@mosaicworldtravel.com, and I'll help ensure it's the vacation of a lifetime! I'm certain you've heard of sustainable tourism, but do you know what it means and why it should be important to anyone who loves to travel? 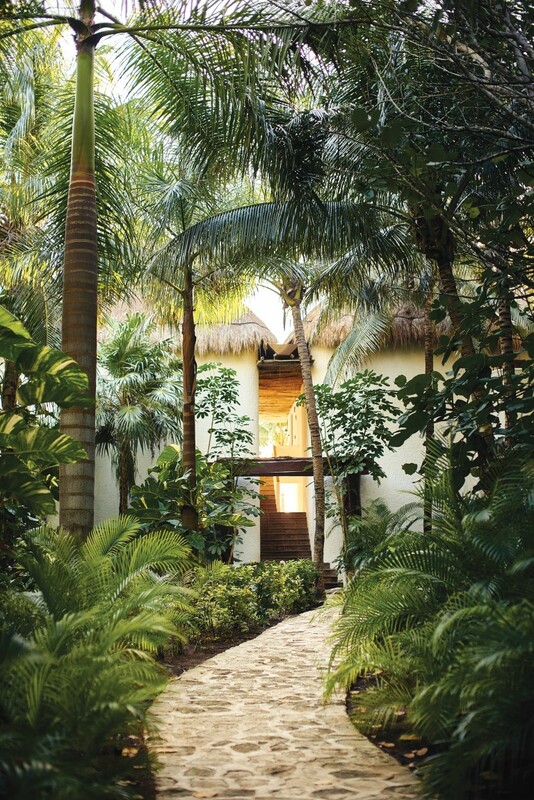 National Geographic outlines the three main aspects of sustainable tourism — employing environmentally friendly practices, protecting cultural and natural heritage, and providing social and economic benefits for local communities. So, being a part of the sustainable tourism movement really means respecting, protecting and supporting the countries and cultures you visit. But how do you do that? Read on for a few easy ways to ensure your travels have a positive impact! One of the first things that I learned when traveling in Asia was that not all animal experiences are created equal. For example, many countries have elephant "sanctuaries" where you can spend a day playing with the elephants. You arrive expecting the experience of a lifetime, interacting with happy, well-cared-for creatures, and instead you wind up realizing you've paid money to people who clearly don't care about the elephants, use harsh training tactics and offer sub-par facilities. What could have been a life-changing experience for you ends up depressing and disturbing. One of the things I am most passionate about in my business is ensuring that every animal experience I schedule for a client is thoroughly vetted and deemed responsible by me personally when possible or by my colleagues on the ground. Be sure you look beyond claims made by the sanctuary owners and know the reality. You may think that because you see someone selling handicrafts that they were the one who made them and you're purchasing something authentic when you buy from them. However, that's not always the case! Souvenirs are very often mass-produced in other countries and shipped to tourist spots. While you may be benefiting that individual when you buy from them, you are also hurting the traditional handmade culture of a place. Buying from local artisans or in collectives where the work of several artisans is sold is a great way to buy something you know is authentic, support the local economy, and also help keep traditional artisanal techniques alive. Making use of a local guide not only puts money back into the local economy but also ensures a more meaningful experience for you. Well-trained local guides will have significant knowledge and bring an authenticity to your trip that you can't find by following a guidebook or going it alone. Just be sure your guides are well-trained; a tuk-tuk driver in Cambodia who offers to show you Angkor may know his way around, but he may not be qualified to fill you in on the complex history and significance of this incredible destination. So choose wisely and vet your guides. Walk or take a bike for short trips, consider a train over a plane if it's available, or make the most of public transportation. Travel isn't just about the destination, it's about the journey, and how you get there matters! Obviously, you don't have many alternatives when it comes to the flight to get to Asia, but consider offsetting your carbon footprint through a reputable organization. 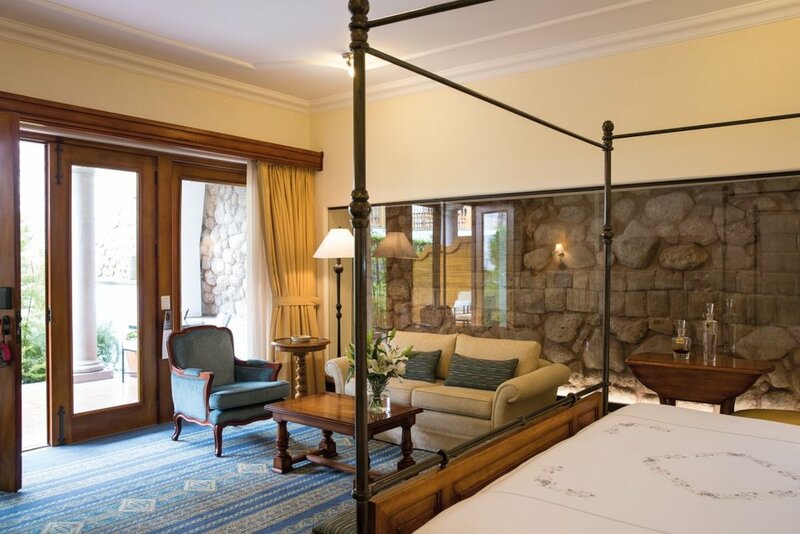 Beyond transportation, also take a look at the environmental practices of the hotels you choose. 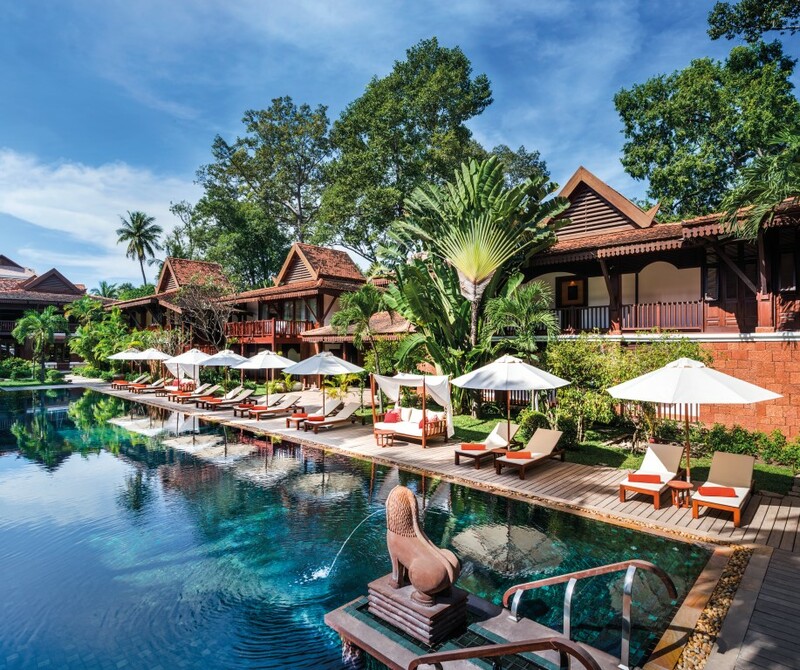 There are some truly amazing five-star properties throughout Asia that are also environmentally responsible, so you don't have to sacrifice your comfort for the environment! If you decide you want to donate in some way to the communities you visit, please consider the overall impact of your donation. So many people bring candy to give to children, without thinking about the fact that those children may not have access to regular dental care. Or they bring gifts of clothing or cash to give to individuals, which can create conflict within a community. When I travel, my goal has always been to give a donation of 10% of the cost of my trip to a reputable charity doing work in the area I visit. I do my own research about which organizations have the greatest impact, but I also talk to my guides and contacts on the ground to ensure any donation I make will be ultimately beneficial and not harmful. In the end, sustainable tourism, to me, is about caring for and not harming the places we visit. About not barging into another country without a second thought about how our visit impacts the people who live there. 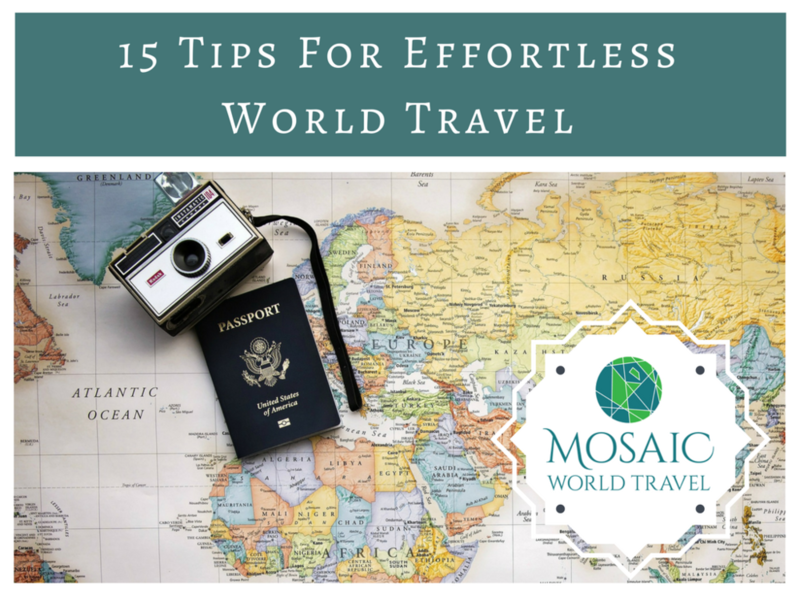 It's simply a thoughtful and conscious way to travel, so don't feel like you have to overcomplicate it! I haven't been on an ultra-long flight since I was about 15 ... and let's just say that was MORE than 20 years ago. Obviously, flying has changed significantly in that time (I mean, back in those days, you could take water on a plane!) and as challenging as long-haul flights were back then, I have to say, things haven't exactly gotten LESS AWFUL over the past 20 years. As I've mentioned once or maybe a million times lately, I'm heading to Myanmar and Cambodia in early October, and since it has been (ahem) a little while since I've flown more than 5 or 6 hours at a stretch, I've been brushing up on some ideas for staying sane on a long flight and arriving as a functioning human. My first piece of advice is to upgrade as much as you possibly can. This may seem like a no-brainer, but it can be a little tricky (because airlines are the worst). 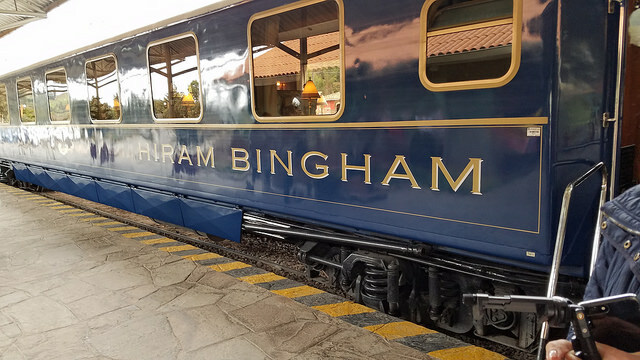 If you can afford those lie-flat seats in the first-class cabin, go for it, and you can probably ignore the rest of this blog post. Despite my dislike for long-distance flying, though, I personally couldn't justify the extra five grand for this particular trip. I was, however, able to upgrade to Delta's Premium Select cabin. It'll give me a bit more legroom and hopefully an overall more pleasant experience than Standard Economy, with the added bonus of flying first class on my domestic legs. Keep in mind as you book your flight that all airlines are different, offer a confusing number of cabin/ticket options, and sometimes you might have to work a little magic to get what you want. For example, the Premium Select cabin was an option when I flew into Yangon, but not on a return flight from Siem Reap. So I instead found a $22 ticket from Siem Reap to Phnom Penh, I get to spend a day sightseeing in Phonm Penh AND I get to fly in the upgraded cabin on the way home. But it took some research! Now, on to the REAL advice! Try compression socks - These things are all the rage these days to prevent Deep Vein Thrombosis and just to overall make your legs and feet feel more comfortable during long spells of sitting. I have a few pair and will be trying them out for this trip, so I'll report back! Pick your personal item carefully - I always travel with a backpack as my personal item because I find it easier to maneuver airports with my hands free, since I generally check my other bags. If you prefer to travel with a large carry-on rather than (or in addition to) a checked bag, choose a personal item that will attach to the large carry-on so that it can hitch a ride and keep you from fumbling. Try to sleep - You know that you should try to sleep on these flights, and there are a number of things that can make it easier. I pick a window seat because I can rest against the side of the plane and only get up when I have to go to the bathroom. But some prefer the aisle seat so that they can stand up and move around without disturbing anyone - your choice! My biggest tip for sleeping is don't try to stay up late the night before thinking it'll exhaust you to the point you'll have to sleep on the plane. All that will guarantee is that you'll have two crappy nights of sleep under your belt to start your trip instead of just one. If you're looking for some sleep accessories, you could try a neck pillow, eye mask, and/or noise-cancelling headphones. Be comfortable but not sloppy - I know that comfort is king for many travelers, but I've never quite gotten into the whole "roll out of bed and head to the airport" style. I generally have things to do when I arrive (even if it's just checking into a nice hotel), and I want to look like a seasoned traveler, not a college student on Spring Break. Loose pants that don't look like sweatpants and a few layers on top can ensure you're ready to conquer the plane and whatever's on the other end for you! I personally have a casual blazer that I like to travel with. It's a great additional layer, blanket or lumbar support, but it helps me feel pulled together and professional when I arrive. Bring your own snacks and water - If you're flying first class, they'll probably give you more food and drinks than you need, but back in the cheap seats, you'll want to be armed with options. I know that I sometimes eat out of boredom, and it's definitely a bad habit that I indulge when I'm on a long flight. So I try to pack a few granola bars, nuts, and other easy snacks so that I'm not waiting for the snack cart to come around. They also will almost certainly come in handy sometime during your trip, so pack more than you think you'll need. Same goes for water, bring your own! You'll get dehydrated and it's no fun waiting around for the next beverage service to quench your thirst. Hydrate! - Speaking of hydration, beyond just drinking water, be sure to bring some lotion and chapstick to soothe dehydrated skin and lips. And if you're fancy, consider a hydration face spray, which can be extremely refreshing. Refresh yourself - After sleeping and eating and sitting in the same spot for hours, it can feel like an incredible luxury to wash your face, reapply deodorant, even change your clothes. Make sure you have face wipes or face wash, deodorant, and toothpaste and a toothbrush (in appropriate travel sizes) on hand for those times when you start to feel just plain gross. Plan ahead for jet lag - The best tip is to start your trip well-rested, but some travelers also swear by prescription or non-prescription sleep aids to help them get the sleep they need on the plane to arrive well-rested. Just be careful, because the last thing you want is to wind up groggy when you arrive. If your schedule allows, you can also try adjusting your internal clock ahead of time, gradually shifting your sleep and wake times to those you'll experience in your destination. One site that I've found to help you make a plan for this is www.jetlagrooster.com, and I'll be trying out their recommendations before my trip. Entertain yourself - This one is pretty obvious, but while sleep is generally the priority, if sleep just doesn't come or if you've already slept for eight hours and you still have five hours to fill, be sure to prepare with plenty of downloaded podcasts, music, audiobooks, ebooks, etc. I'm generally a fan of actual paper books, but they add extra weight to your carry on and can easily get wet/torn/lost during your trip, so I stick to my Kindle and ensure I have plenty of backup batteries and chargers just in case. So, now it's your turn ... do you have any tips that will help me survive my 21 hours and 8 minutes of flying time (not counting 4 hours and 36 minutes of layovers) coming up? 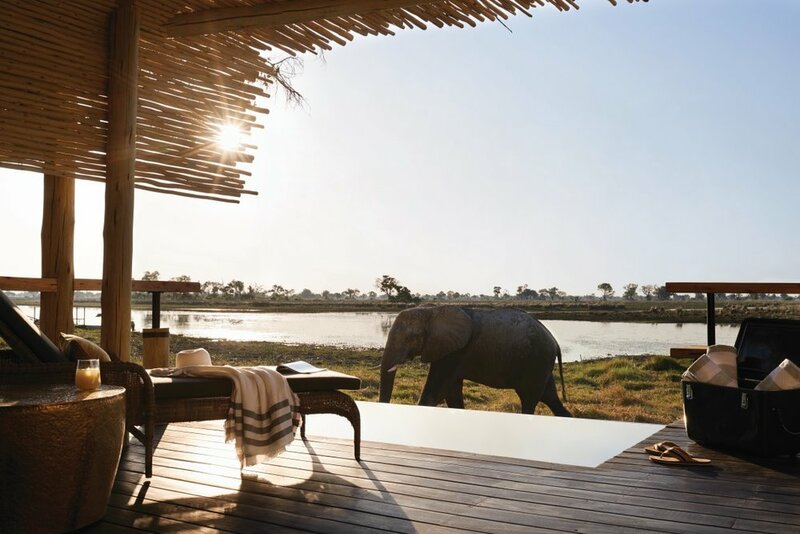 Africa might be on your bucket list, but ... WHERE in Africa? What do you want to see and experience? If you're not sure, watch my quick overview video to give you some insights into some of the top destinations in southern and eastern Africa!